Help us #StopKavanaughNow and join us tomorrow, Friday, September 21 in New Hampshire to let Republican Senator Susan Collins of Maine — who will be speaking at St. Anselm College — know that we want her to keep her word and protect our rights by rejecting the Koch Brothers’ hand-picked conservative activist Brett Kavanaugh from being appointed to the US Supreme Court. 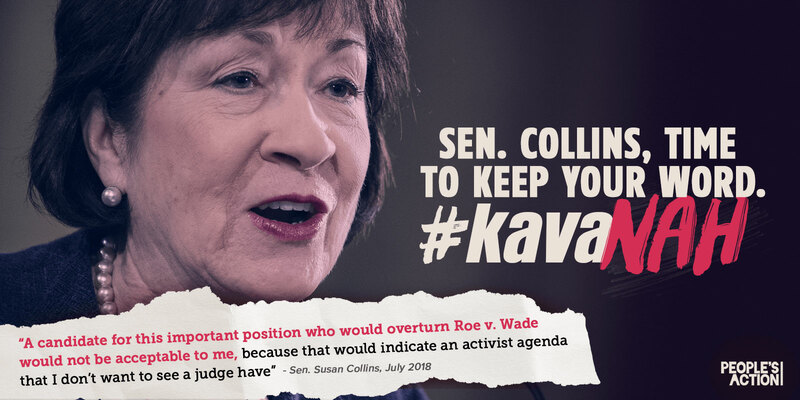 Collins is a crucial swing vote in the narrowly divided US Senate and this is a chance for us to tell her why she must vote no & protect the future of our Supreme Court and the shared rights of generations to come! If you are at all able, please join us for a picket starting at 4:30PM. Our friends at Granite State Progress will also be there, and you can find details on their Facebook event. Please sign up here if you can attend. For our Vermont members: We are working to organize housing with our New Hampshire members for those who want to be at the event tomorrow, and would like to stay overnight to attend our Membership Assembly & People Power Summit on Saturday in Keene. For our New Hampshire members: If you are able to host someone, please let us know by filling out this form. 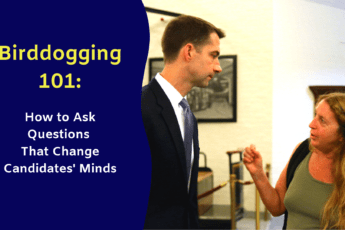 As you know, this is a crucial fight; the Affordable Care Act and access to health care, women’s reproductive rights and autonomy, migrant rights, marriage rights, tribal sovereignty, workplace rights, environmental regulations, and critical checks on executive impunity are #What’satStake. And thanks to the hundreds of folks who have signed our petition in standing strong with Sen. Patrick Leahy who is helping to lead the effort in stopping this sham nomination. Thanks for fighting back with us!